Home Uncategorized LET IT SNOW is here! Are you ready for the holidays? Well, neither am I. 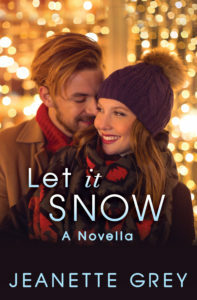 And neither is the heroine of my new novella, LET IT SNOW. Holly is a geek girl who’s grateful for the chance to work through the holidays instead of thinking about the lack of a family she has to go home to. She’s also grateful for her hunky assistant manager, who’s at least providing some scenery to enjoy. Can’t wait to read this. I’ve loved every book of yours I can get my hands on.